… designed especially for you and free to download! PEP-Booklet_Pain – A booklet for children to explain the concept of acute pain – What is pain and what can I do about it? 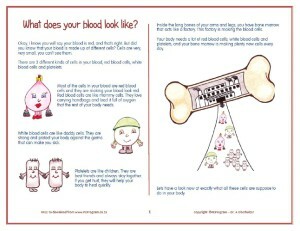 PEP Booklet Blood Disorders – A booklet for children to explain the function of blood cells and what happens in the body if we don’t have enough of these cells. Watch this space – more PEP-Booklets to follow!